1. Congratulations first to awate.com for the sleek new look and for ten years of steady and reliable reporting. 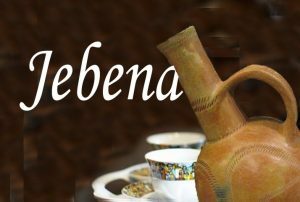 The site continues to earn our respect and admiration for its creative and innovative projects that clearly sets it apart from all other Eritrean websites. 2. Congratulations also to Saleh G for the new book that deservedly became an instant best seller. The book’s success establishes Saleh as both a riveting storyteller and an untamed marketing genius. 3. Congratulations also to international observers (ICG in particular) for finally coming close to getting it! Yes, the authors fumble here and there as was brilliantly brought to light by Saleh Y but overall the report does such a good job of accurately portraying the regime’s current paranoid and diminished status – far better in fact than some of the so-called opposition parties – that one is inclined to overlook its minor slips. 4. Last but not least congratulations to all Eritreans for the spectacular National conference! The conference will be remembered in Eritrean history as a milestone in the struggle for freedom and national reconciliation. The pivotal role played by the organizers of the conference will also be noted and acknowledged as a crucial factor in its success. The organizers deserve our thanks and admiration for three reasons: First, for not flinching at the frightening prospect of carrying out the herculean task of bringing together disparate and sometimes antagonistic groups under one roof; second, for resisting the all too common temptation to succumb to lingering doubts that all such efforts are doomed to fail (as they have in the past); and third for not losing their cool despite a boycott and the dangerous rumors that were flying around prior to the conference. I have used a compound name in the title to describe the same basic entity primarily for the benefit of those who might perceive a distinction. I see none. To me, EPLF of the 70s is virtually indistinguishable from the PFDJ/GOE of the 21st century. The different names are but political nomenclatures used to reflect changes in mundane duties not changes in thinking or outlook. 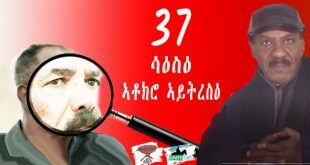 This article is a critique of the entire socio-political phenomenon that first burst into the Eritrean scene about 4 decades ago (EPLF) and that continues to this day in the form of PFJD/GOE. Though I chose not to, I could also have added Isaias into the mix or used his name interchangeably with the organization as well because for good or ill he was and remains the prime mover and shaker of the movement. It is testimony to the incredible power of a forceful personality that a single individual brought EPLF into existence, the same individual carried it through the turbulent years of the struggle for independence, and the same one remains its sole leader to this day! Call him anything you wish: Eritrea’s Napoleon, Eritrea’s Stalin, “a dictator with no clothes” but no sensible person who pondered over his achievements (in his heydays that is) would call Isaias a stooge. A small ragtag army was all he had in the beginning and his precious “nhnan elamanan”. 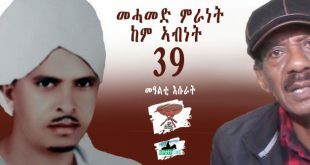 From this humble beginning he rose to erect something very akin to an “empire” that he still presides over undisputed: the EPLF/PFDJ/GOE colossus. I must therefore grudgingly salute him if for nothing at least for his will-power and cleverness. 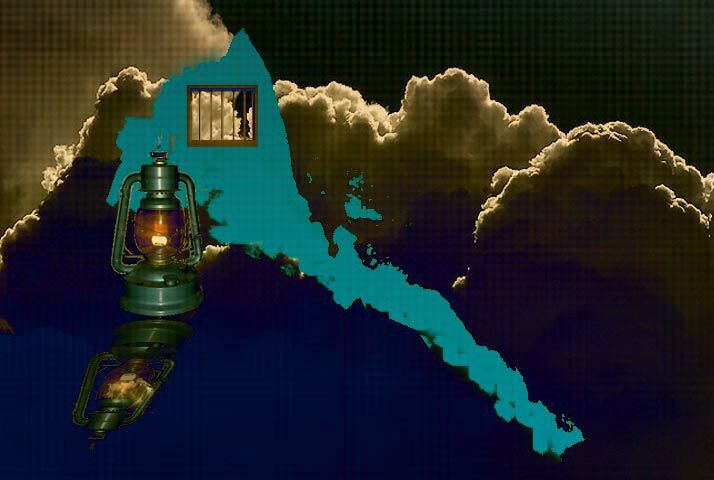 Isaias will be remembered not only for his military exploits but also for his ability to bend multitudes to his will. An ardent admirer of Mao, Isaias and his organization were responsible for engineering a cultural upheaval in Eritrea that mirrored that of his mentor’s. In a series of draconian measures that shook our nation to its foundations, EPLF under him initiated and executed an unprecedented moral and cultural restructuring of our society from whose impact the country still reels today. Among other things, it tacitly promoted the severing of all previous ties; the cult of the leader; and lockstep conformity – all designed to foster total and blind devotion to EPLF and EPLF alone. EPLF also repeatedly brainwashed its followers into believing that EPLF and Eritrea are one and the same thing and that Eritrea’s enemies are EPLF’s and vice versa. Under its rule, disrespect for parental authority and disregard for custom and religion became a badge of honor (though at a deeper & more practical level, EPLF remained loyal to its Chirstian/Tigrgna roots and worldview). Intellectuals were at the forefront of the indoctrination process. Both Mao and Isaias despised the learned but Isaias was much more successful with his intellectuals than Mao was with his. Instead of publicly ridiculing them as Mao did in the Cultural Revolution, Isaias simply turned them into cerebral zombies and groomed them to become his propaganda mouth-pieces. How successful he was in this can be judged by what many of his supporters in the intelligentsia were saying not long ago. I will not name names but EPLF intellectuals are on record for publicly calling the GOE “the best democracy in the world”; “a flawless Government” among other things. Isaias was characterized as a “genius by all accounts”, “irreplaceable” and other similarly nonsensical propositions. How Isaias achieved this remarkable feat with intellectuals is a socio-psychological enigma that we will leave for future historians to grapple with. It was remarkable because of the huge number of intellectuals that he was able to garner and the depth of the devotion they had for him. Ironically, this “genius by all accounts” was to become very much like a zombie himself in his old age but even in his dazed state only an imbecile would think him incapable of striking hard. Just ask the G-15s! He has become even more dangerous now. As we indicated above, ICG did a fine job of describing him and the regime in Eritrea but apart from its importance as a damning report of the regime from a non-Eritrean source, the report brings no new revelation to Eritreans. The core opposition has been saying pretty much the same thing (and more) since 1991 and even before. 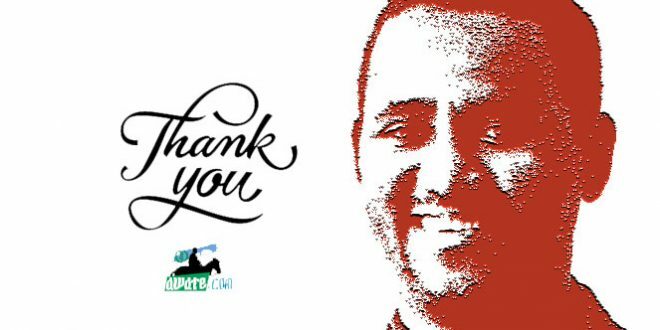 Nonetheless, the accumulation of testimony by non-Eritrean sources that corroborates what the opposition has been saying all along is a welcome development and enhances its diplomatic clout or standing as it relates to other countries. The allusion to the perennial opposition in the above paragraph is deliberate by the way to underscore the fact that opposition to the regime did not commence in 2001 with the G-15 nor with the Berlin Manifesto of October 2000. The latter marks the start date of opposition from within EPLF/PFDJ internal polity not the inception of general resistance against EPLF/PFDJ. This is important because it is often glossed over – in a typical shaebia fashion that tends to discount everything but its own contribution – and made to appear as if there were no opposition voices prior to the fissure within PFDJ. This is of course not true because voices not affiliated with EPLF/PFDJ have been warning and speaking against EPLF/PFDJ authoritarian regime long before ex-EPLF/PFDJ/GOE members had a war-induced epiphany moment. Astonishingly and tragically, the war accomplished what the combined lament of innocent Eritreans that lost their freedom, their land, their property and their lives at the hands of the regime could not. It is therefore entirely plausible to surmise that if Eritrea had decisively won the war or if the dictator had even faked to seriously listen to their protests, there might not have been a single dissenter from within PFDJ. Even now, if by some miracle Isaias was to extend his hand to discuss power sharing, I wouldn’t put it past them if they accepted it with alacrity. That was/is the incredible hold Isaias had/has on his followers. The calamitous war brought about an epiphany moment for sure but not of the sort that we can truly applaud because it was limited in scope and goals. It was above all a war (a defeat in the war with Ethiopia to be more precise) that, shattering the myth of EPLF/PFDJ invincibility and by extension that of its leader that fomented dissent from within. The war de-mythologized the leader revealing his humanity and made him appear in the eyes of these would-be dissenters, suddenly vulnerable and approachable and the moment an opportune one for asking for a piece of the pie. A terrible miscalculation it turned out to be (as we now know) and like Oliver Twist, a severe blow to the head was their reward for their insolence. Sadly, even the war failed to transform these latter-day converts into true champions of democracy because as we saw in their letters and manifestos, they were primarily interested in “internal democracy” within the PFDJ not in democracy proper for the population at large. 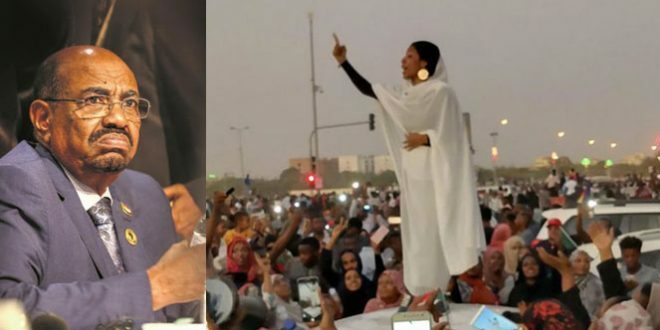 Their protest was not the result of deep reflection and study of democracy but had a far less lofty aim: a more equitable power distribution and better participatory powers within PFDJ. Simply stated, the dissent was a protest that begun within PFDJ, by EPLF/PFDJ, and to rescue EPLF/PFDJ. It is a case of intra-party sibling rivalry gone sore between kindred spirits. But still, I praised them and publicly advised them against meeting the president because I hoped then that the experience will have taught them to be humble and that eventually they will atone for their mistakes by honestly working for the general welfare of our people. Some are paying for their mistakes in jail as we speak, so I will say no more and henceforward, my comments will address ex-EPLFers in general some of whom are in opposition. What appalls us today about many of these ex-EPLFers is the fact that even at this late hour, they still cling to the harebrained notion that EPLF/PDJF as an organization is not to blame; that the fault lies entirely on the dictator- not on his enablers or on the organization. How nice of them, how loyal that they were willing and eager to partake in the glory but not in the ignominy of Isaias’ leadership! 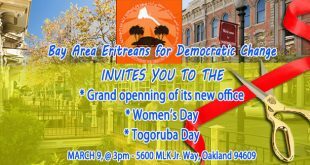 One example is their eagerness to preserve the EPLF/PFDJ political infrastructure. Consider why they would want that. First and foremost, it exonerates them (prominent ex-EPLFers) from blame. Not unlike Hitler’s SS officers who claimed innocence on the plea that they were simply following Hitler’s orders, these former enablers of the regime (FERs) can feign ignorance of the crimes of their commander in chief. Having blamed everything on the dictator, they can then project themselves as having been simple servants of a worthy organization (EPLF/PFDJ). Second, if EPLF/PFDJ (minus Isaias) remains intact, their chances of grabbing at and reclaiming the political and economic infrastructure with which they are so intimately familiar would be very high. Another example of this opportunism at work is their insistence that the resistance should be entirely non-violent – an impossible and futile undertaking. In all the annals of history, one is hard pressed to find a dictator who voluntarily abdicated his power. This is attested not only by historical records but also by sociological and psychological dictum. It is as unlikely for a dictator to change his ways as it is for an abusive husband (who wields complete and absolute power over his family) to mend his ways. In the case of Isaias, this should be a no-brainer in light of his proven ruthlessness. The absurdity of such an attempt was beautifully and graphically illustrated by a recent cartoon that was featured in awate.com. There is one exception to this, however. If dissent within PFDJ becomes widespread, it is within the realm of possibilities that a bloodless coup d’etat à la “glorious revolution” could occur in Eritrea. In other words, a smooth takeover of the regime from within is not impossible. But a revolution of this nature would be “tehatsibka nab Cheka” (soiling or mudding oneself after a shower) as it will amount to a mere shuffling of leadership that would leave the oppressive entity intact but that – ladies and gentlemen – is exactly what FERs may be counting on! If the struggle proceeds slowly and non-violently, it will buy them time they need to increase supporters within PFJD and to hopefully effect a coup that would place them (or their sympathizers) firmly in power. This would not happen if a grass roots armed movement were to oust the dictator because such a movement would also neutralize or crush the ruling party, PFDJ in addition to removing the dictator. Thus by advocating non-violent methods, these unrepentant FERs are in fact working for their own and their organization’s very survival while at the same time increasing the likelihood that EPLF/PFDJ insiders will gain an upper hand in a post-Isaias era. Very clever indeed! Notwithstanding these political mavericks, however, I think we can now say that PFDJ has been totally discredited. Few (including FERs) would dare defend it openly today but the same cannot be said about EPLF as many continue to exempt it from the sins of its successor (PFDJ). I was hesitant in the past (as many may still be today) to criticize EPLF itself because at the time, the focus needed to be on Isaias and the PFDJ but now that we have reached a semi consensus on the issue of PFDJ, it is perhaps time to soberly look at EPLF itself, PFDJ’s progenitor to see if it has anything to tell us that can explain the mess we are in today. A critical look at EPLF itself is needed because as we read in the bible “a good tree cannot bear bad fruit, and a bad tree cannot bear good fruit”. 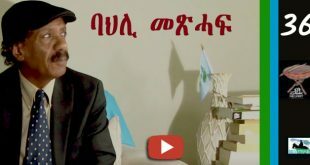 What is PFDJ but EPLF in Government attire? Ex-EPLFers therefore need to ask themselves if the brain-child (EPLF) of such a narcissistic and authoritarian leader can be anything but a reflection of him even in its original form. The Nazi party and Hitler were virtually indistinguishable from each other as was Mussolini from his fascist party. 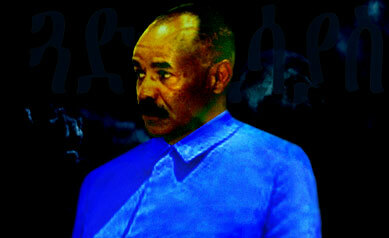 I am not comparing Isaias to Hitler or EPLF/PFDJ to the Nazi party or to fascist Italy. I am just emphasizing the fact that organizations reflect their leadership and the more authoritarian the leader, the more closely it reflects him. One refrain that we constantly hear from EPLFers (former and current) is that EPLF deserves honor and accolade for bringing independence. Well, yes it does (or would have I should say because it rendered independence meaningless by its subsequent actions – we will have more to say on this a little later). EPLF deserves praise for many other things including its philosophy of self-reliance and its impressive military accomplishments. If achievements alone are to be used to judge people and organizations, the trenches of Denden alone would be enough to accord it a special place in Eritrean history. But I would have admired Shaebia’s accomplishments more if they were achieved under a less authoritarian chain of command. I praise EPLF achievements for the same reason I would marvel at say the majestic pyramids of Egypt while condemning the Pharaohs for the countless slaves that perished building it. I admire US achievements in the same fashion but rebuke it for its extermination of natives and for the slave labor. If achievements alone are used without any thought for the means, then many notorious persons of history including Genghis khan and Hitler (who achieved greatly) would count as heroes. 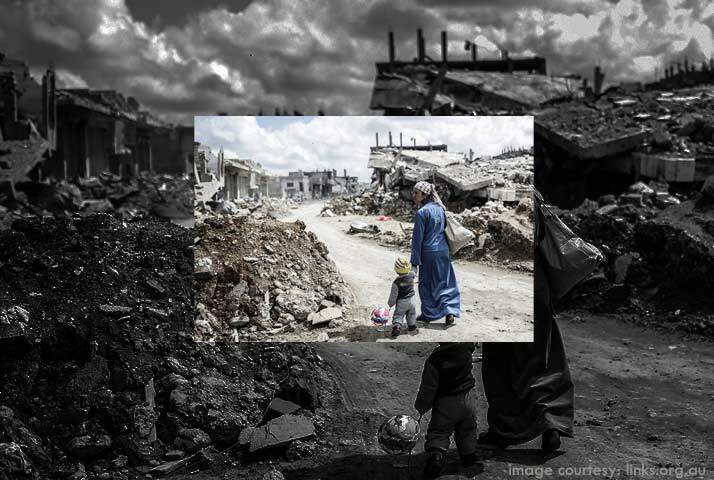 But are achievements alone enough to judge the worth of organizations or movements? No. Of course not! Equally important (if not more so) are the means used. That is why, for example, schools penalize those who get an “A” by cheating. Did EPLF cheat to win or prevail? Yes it most certainly did and did so repeatedly! This becomes clear if we examine EPLF in light of the means it has used to achieve what it did. 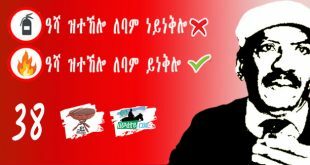 Scrutinized this way, EPLF does not do very well at all. In fact, it does horribly because if there is one trait that accounts for EPLF’s military and political success over the years it is its ruthlessness. It was ruthlessness combined with intensive propaganda campaign at the gutter level that accounts for EPLF’s phenomenal rise to power. It was brutal against its enemies in its early days (Menk’a and ELF) and was equally merciless against its more recent enemies (the G15). If ELF was half as ruthless as EPLF, the latter would never have incubated let alone survived. 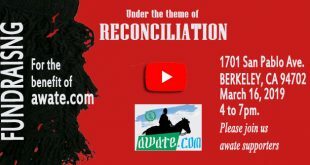 If General command (‘ama haradit’) was really butchering Christians left and right as wantonly as EPLF-woven history contends, Isaias would never have survived to tell the story. But thanks to the less ruthless ELF, Isaias not only survived but lived to show us what genuine ‘haredti” are made of! If EPLF never existed I will dare postulate, we would still have achieved our independence. Our knowledge of history and human affairs informs us about the inevitability of independence. Those who initiated the armed resistance (the ELF) would have eventually liberated the country. Perhaps not in 1991 but even if it had taken a little longer, it would still have been preferable to an “independence” that our people could not really distinguish from earlier occupations except on the map. You say EPLF brought independence? I say yes but the story doesn’t begin or end there. Consider first of all, that almost two decades after independence we have yet to experience freedom. In fact, life for the average Eritrean became worse not better since independence. I ask you: how grateful should I be to you when you rescue me from the jaws of death only to make me your slave? EPLF brought independence in one hand and a whip in the other. The years that followed independence will be remembered more for the savagery and misery than for the short-lived euphoria that initially electrified the nation. Furthermore, EPLF acted childish, mean, and egotistical at its most triumphant moment and still brags too much about its achievements blatantly refusing to acknowledge the contributions of others. This is the legacy of EPLF. Consider also the fact that EPLF and its followers were the primary beneficiaries of independent Eritrea controlling the government, the economy, and the justice system to name only a few. I ask you again: How praiseworthy are your actions if by freeing the country, you continue to reap the benefits mostly to yourself? Of what value is the flag you wave so proudly to me if what you give with one hand, you take with the other? Again, tell me please: what is independence worth to me if I find myself hungrier, angrier, and less free after decades under its wing? Keep the flag to yourself sir and just give me the freedom I demand and keep me safe! Then perhaps we can talk about the independence you brought! You say that EPLF won many victories? I say yes but so did Hitler in the beginning. 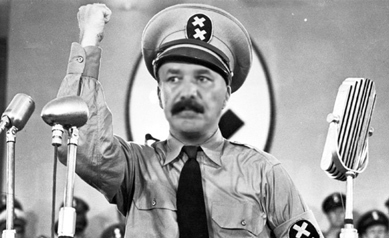 Again, I am not comparing Isaias to Hitler but no sensible person would deny that Isaias prevailed due to the Hitlerian-like authoritarian structure he created from the very beginning of his military career. Organizations with a fanatical bent of mind are notoriously more successful in churning out braver and fiercer fighters than normal and healthier ones. This is not to imply that all who followed Isaias were fanatical zealots or those who were martyred in the line of duty were never patriots. No. But the exemplary patriots among his followers were largely overshadowed by the noisy and mindless zealots who are forever conjuring up enemies out of nowhere (‘a siege” mentality). Nor is the mentality that the ICG report highlights of a recent phenomenon that suddenly popped up out of the blue in the 21st century but is and was a hallmark of EPLF throughout its career and in all its incarnations. EPLF was born and christened – one can say – in a siege mentality. The only difference is that in the beginning, its xenophobia was focused on Eritrean Muslims, Arabs, or ELF. Today, its enemies are everywhere (including UN and the AU). For all the above reasons and more, I hold EPLF/PFDJ/GOE directly responsible for the current mess we find ourselves in. If our country is to have a prosperous and peaceful future, not only must Eritreans demolish the GOE /PFDJ conglomeration but must also bury with it the entire EPLF tradition once and for all because if we leave any trace of this rigid militaristic culture, we risk revisiting past horrors. Some ex-EPLfers may be hurt with the assertion that the organization that they devoted a greater part of their life did not live up to their ideals. I fully understand this and I wish I could say it differently but as we contemplate a post-Isaias Eritrea, it is important that we dismantle all myths to avoid falling into the same errors again. But nothing we have said so far takes away an iota from the honor due to all genuine patriots (living and dead) that gave their all for our nation under EPLF command. Rather, my comments are directed at the top echelons of EPLF/PFDJ/GOE power structure not at the thousands upon thousands of decent EPLF rank and file that were duped. If you are one of the latter, you have much to be proud of but I hope you have learned a lesson not to worship leaders and organizations and not to fall for propaganda ploys. I also hope you will be on your guard in the future because there will be other charlatans. Whether you knew or not, you were trained to be paranoid under EPLF/PFDJ/GOE leadership particularly against Muslims and now a new crop of shaebians and their likes (neo-shaebians) are attempting to trap you into the same mind-set all over again. Please grow out of it, resist and work with fellow compatriots for the welfare of all. Our country needs you. Muslims and Christians are not the same and they don’t have to think alike. This was true in the past, true now and will always be true. That does not mean we cannot work together for the common good. Past Eritrean history testifies to the fact that we can. I have very close relatives and friends that were and (some are still part of the EPLF/PFDJ) so I am not impersonal about what I am saying. It is even possible, dear respected compatriot, that you and I grew up in the same neighborhood occasionally fighting each other but mostly playing happily in the dirt and we may even have sneaked together into Cicero Stadium without paying (I won’t lie – I was guilty). Einestein once said: “The search for truth implies a duty. One must not conceal any part of what one has recognized to be true.” That is what pointblank is all about or at least that is what it will attempt to be – an honest exchange. Thanks for your critical article, Mr. Ismail Omer-Ali. Let me share with you and your readers that if actions are used as measuring sticks, PFDJ is ended EPLF. I know in certain areas of Hamasien, the crimes in EPLF days went as far as civilian men being rounded up in a single night from different villages and killed in one spot. Men who were taken from time to time, in the darkness and silence of night, from their families and homes to never be heard of are many. All these happened in the 1970s, and at times it even entailed placing a dead body at crossroads to warn residents of the area of what is coming to them. I am sure everyone has similar stories of a particular region or people to tell. When a court of law makes a home in Eritrea, it will for sure be hard to challenge against accounts of such blatant actions. No wonder some quarters of the opposition derail the struggle for fundamental change; a certain generation has to pass away before the truth finds its way in a just Eritrea. And these obstacles make the need for those who want justice to join hands all the more necessary to be committed to real change. On behalf of all ELF fighters; Moslems/Christians, Lowlanders/Highlanders, Baza, Nara, Afar, Saho, Beni Amer, Bilen, Akeleguzay, Seraye, and Hamasien who had been menaced and persecuted by Shaebia/EPLF for belonging to that infamous wedeb, “Amma Haradit”, or Jebha, I thank you from the bottom of my heart for bringing the truth out and in light of the silence by many Habesha elitists who in the past have stood with Isayas’ Shaebia in its criminal act of persecuting its own brothers of Jebha. Yes indeed, Shaebia/PFDJ is a property of Isayas Afewrqi, a one man, who has formulate it himself to fit his image of a control freak. It is this kind of openess which is required from both political spectrum to find remedies to all our ills. Our young generations demand to know all the ills of the political organations (ELF and EPLF) whose primary goal was to dominate and presereve their own organization at the cost of our niave peasants,who gave their utmost sacrifice. National issue was secondary to them at best. Now,despite I am reluctant to speak issues about the past that derail us from the current problem, It is absolutely relevant to tackle if we see bubbles of resistance of the old political culture. Pointblank aptly just did that. Well done Ismail. Congratulations, you can say what you think is true, and still you will be respected even if someone doesn’t agree. But say it and clear it. Let’s learn to be free. Future Eritrea is free so being compatible with democratic country is important… Well done. As always, well said Bro Ismail Omar Ali! Thank you for the insight!